I've been asked by a few people lately which tools I use for my designs. I've been using the same brush for a while now, but today, I tried out a new one from Born Pretty. Here's a link to the brush I'm showing you tonight. 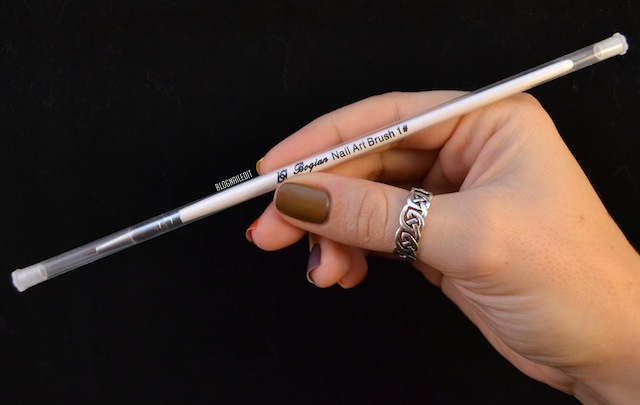 This wooden drawing brush is a very manageable brush. 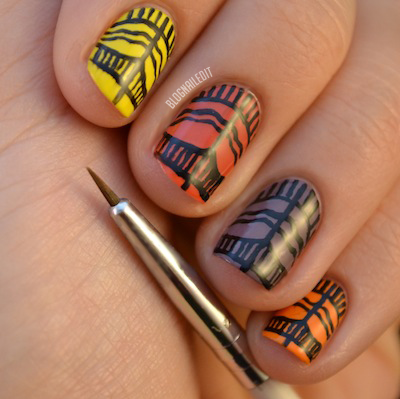 It's bristles are shorter than your average striping brush, which will be helpful for beginners to get started. Because of this, you can also use it for more than just lines. I tried it for dots, and it was great, though I didn't use any dots in the pattern I drew tonight. The brush also comes in an outer carrying case, in addition to a small tube to protect the bristles when you stash it away in your nail art drawer or cup. It is harder to get small lines using this than a smaller striper brush such as these (also from Born Pretty), but the length of the bristles are overall more predictable, and you won't get crazy flyaway lines like you might with a striper brush. The price point for this little brush is great, at only $1.32, plus the free shipping Born Pretty always offers. Additionally, knock off another 10% with my coupon code, C10X31. The colors I used for the fall look were mostly from China Glaze: Below Deck, Life Preserver, Papaya Punch, and Happy Go Lucky. The designs were done with my trusty black from OPI, Black Onyx. I was inspired by this pattern at ColourLovers tonight. what's the polish that you used on your thumb called? 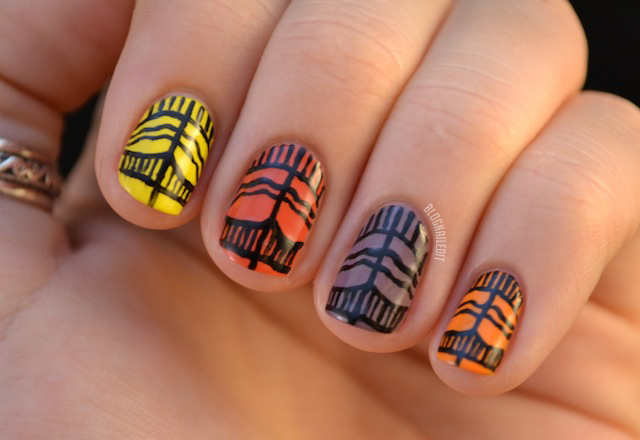 Such a great mani! I'll have to check out that brush the next time I order from BPS.